A wedding is one of the most important days of our lives, a magical and unforgettable experience that for many only occurs once in a lifetime. 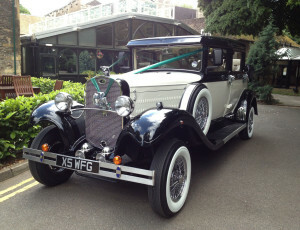 Amongst all the glitz and glam, no wedding is ever truly complete without a traditional and classic car to accompany the bride and groom et al. to their ceremony for a head-turning entrance. 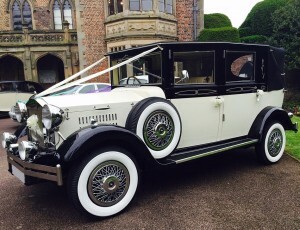 Here at Prestige & Classic, we have an extensive fleet of vehicles maintained to the nth degree, escorted by just the right chauffeur and driven to suit your requirements to make your special day unforgettable. 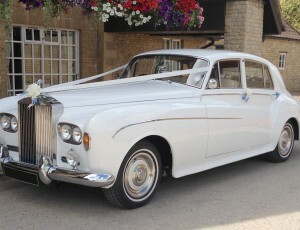 Our catalogue of exceptional wedding cars include some timeless classics from some of the biggest brands in the industry. 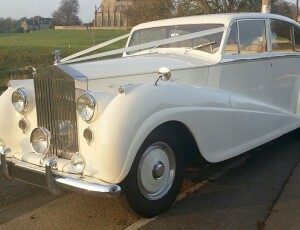 Rolls Royce, Bentley's, Branford's and many others. 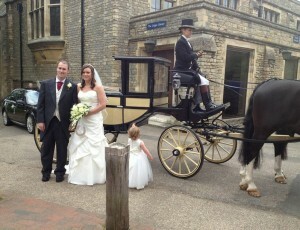 For a magical and fairy-tale like wedding, we also hold a Horse and carriage. All our vehicles are available to hire across the Cambridgeshire, Lincolnshire, Northamptonshire, and the Leicestershire area. We even accommodate for special requests such as themes, colour schemes and provide refreshments as well as other services, to enhance your experience. Aren’t yet convinced? 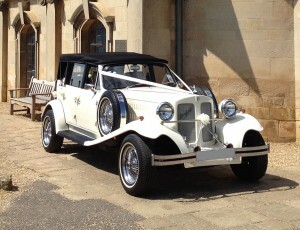 Why not book an appointment to view our entire fleet of Wedding cars in the flesh at our Peterborough showroom. Whilst there, you will be able to peruse the vehicles at your own leisure with no obligation to book. 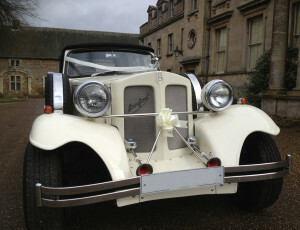 However, if you see something you’re interested then please do not hesitate to contact us to book your dream wedding car. 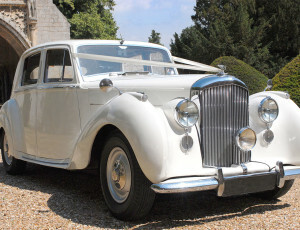 You can do so by telephone on 01733 348122, email enquire@prestigeandclassicweddingcars.co.uk or by using the online booking form located here. Customer satisfaction is always our number one priority, our expert team will be happy to help with any questions you may have.